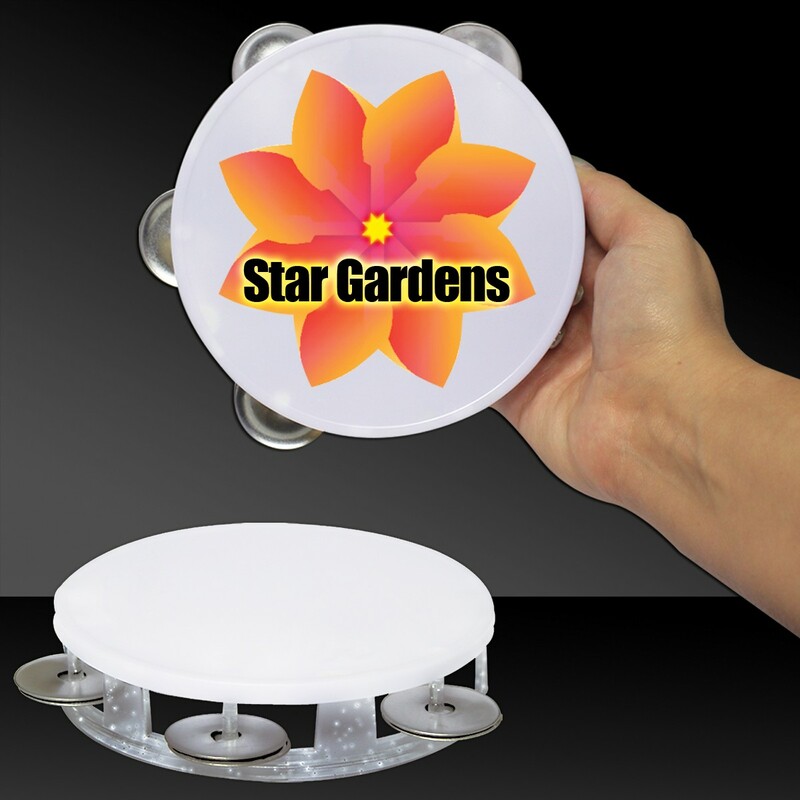 Quick Info: Make music magical with our 5 1/2" plastic with metal discs make a great promotional product for all kinds of company names and logos. Our 5 1/2" Glitter Tambourines are priced per tambourine. Please order in increments of 12 tambourines. 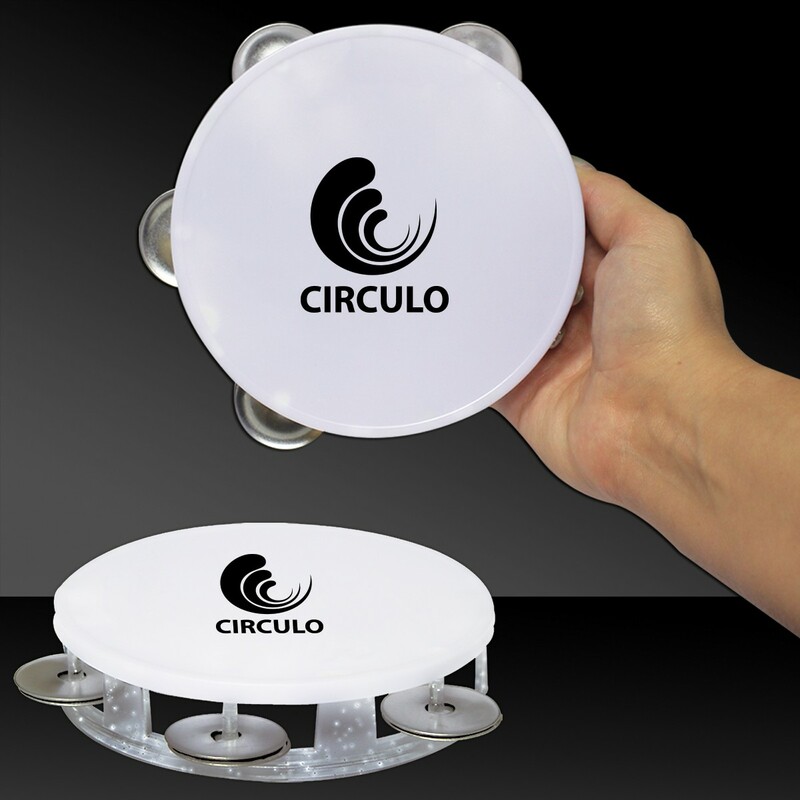 Make music magical with our 5 1/2" plastic with metal discs make a great promotional product for all kinds of company names and logos. 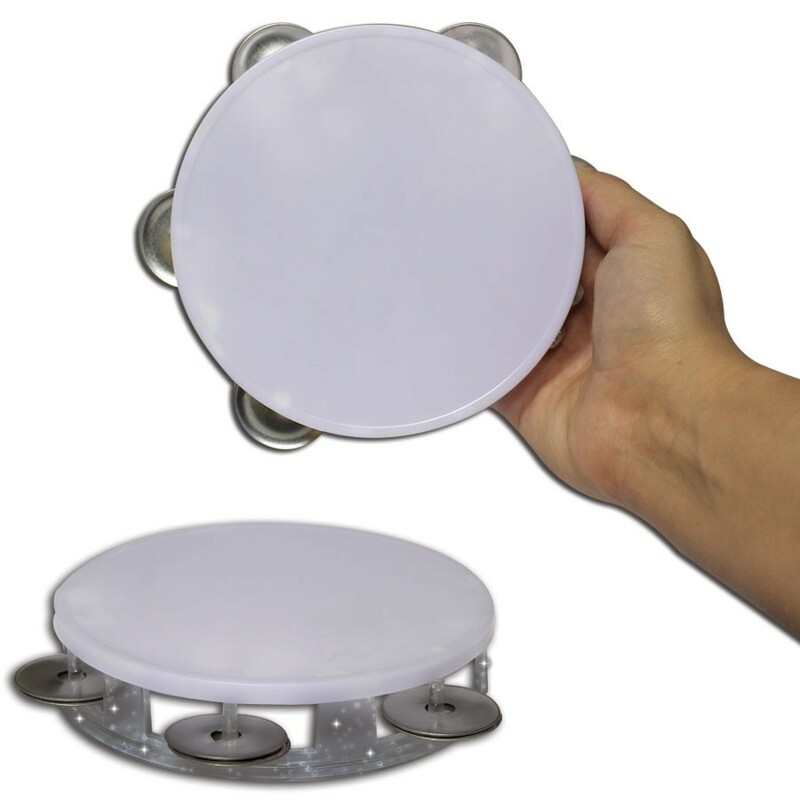 Our 5 1/2" Glitter Tambourines are priced per tambourine. Please order in increments of 12 tambourines. DIGI-PRINT IS NOW AVAILABLE!! We now offer DIGI-PRINT a Full Process Color and almost edge to edge decorating. IT'S AMAZING! Above pricing includes a 1 color imprint in 1 location. Please add a Set-up fee of $55 (v). When we print on a LABEL, we offer up to 4 spot colors (NOT PMS matches). Each additional spot color add a running charge of $.14 (v) per color, and a Set-up fee of $20 (v) . When we PAD PRINT, PMS matches ARE available. For each additional location and for each additional color add a Set-up fee of $55 (v) and a running charge of $.25 (v) per color, per location, pad print only. Imprint Minimum is 240 pcs. Imprint Method: Pad Print or DIGI-PRINT. Production Time: 5-10 business days after receipt of artwork and approval.